There are more than 105,000 Clean Energy Jobs in Ohio. Clean energy jobs grew almost six times faster than overall job growth in Ohio from 2015 to 2016. 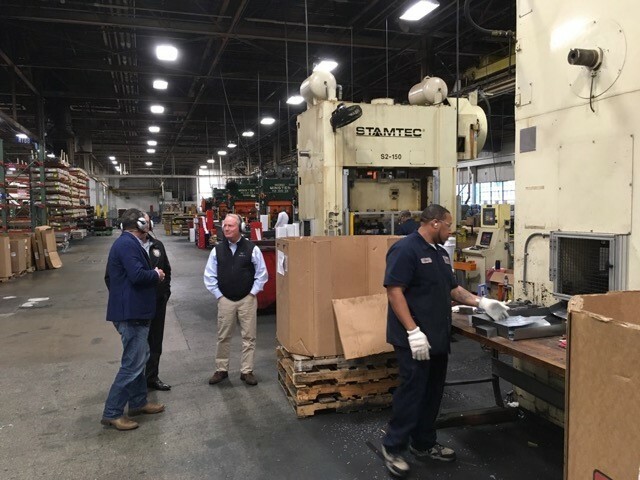 That's why on November 6th, Representative David Joyce (OH-14) as well as State Representative Dave Greenspan (OH-16) attended a tour with Talan Products CEO Steve Peplin. 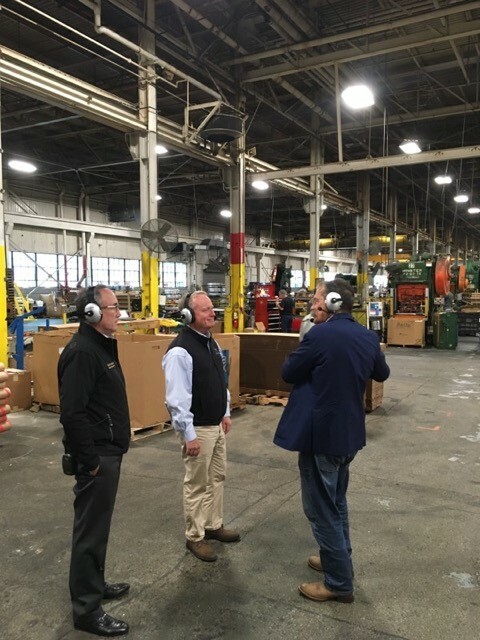 Afterwards, they had a chance to meet Talan employees and talk with WIRE-net's John Colm about the positive economic impact renewable energy has on Ohio. Talan is one of the fastest growing inner-city businesses in America ranked by the Initiative for a Competitive Inner City and Fortune. In addition to being a full-service metal stamping company and manufacturer of tooling, Talan Products is also an aluminum extrusion fabricator and supplier, supplying components to many solar system manufacturers. Solar accounts for 33 percent of the company’s business volume. The solar industry attracted $1.3 billion in investment to the state in 2016 alone. Talan Products employs 80 people – ranging from engineers, estimators, production managers, office work, stamping pressers, material handlers, quality assurance and more.